Jack Productions burst onto the scene with their acclaimed first production, Human Abstract in 2010. 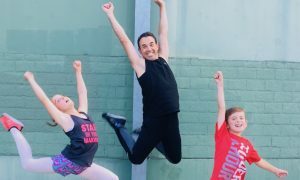 The brainchild of Lucas Jervies, Robert Curran, Andrew Killian, and Laura Tong, Jack Productions promised to inspire audiences and produce a fusion of classical and contemporary dance that was innovative while exploring classical ballet technique. With performers from The Australian Ballet as well as international stars, Jack Productions has revolutionized the dance landscape in Australia and is set to further impress audiences with the upcoming collaboration A Chamber Ballet with Ensemble Liaison. Ensemble Liaison was formed in 2006 and was recently named Ensemble in Residence at Monash University. Comprised of three internationally acclaimed musicians: David Griffiths (clarinet), Svetlana Bogosavljevic (cello), and Timothy Young (piano), they performed their debut concert for ABC Classic FM the same year. They have collaborated with sopranos, violinists, performed interstate and overseas, released a CD, and been broadcast nationwide on various radio stations. A Chamber Ballet, the collaboration between Jack Productions and Ensemble Liaison will feature Joseph Simons, Marc Cassidy, and The Australian Ballet’s Rachel Rawlins and Andrew Killian, with choreography by Lucas Jervies. 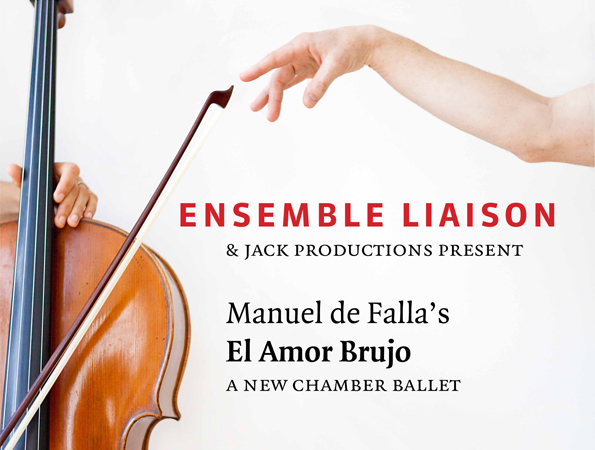 The chamber ballet will present the passionate songs of Manuel de Falla – The Six Songs interwoven with Love the Magician arranged by Ensemble Liaison. The essence of the collaboration is about building on the instinct to get up and dance to music. This exciting union of creative forces is for only one night at Melbourne Recital Centre, and promises to bring a unique opportunity for lovers of ballet and chamber music to come and experience these two art forms united. 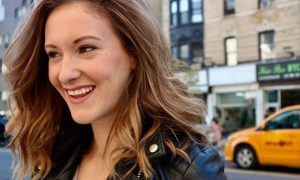 Dance Informa asked dancer Rachel Rawlins and pianist Timothy Young about the experience of putting the production together. Rachel, you have worked closely with musicians and composers previously. How does the experience of working with Ensemble Liaison compare? The process of working with Ensemble Liaison has really just begun. I have met the company and heard them play. It is such an inspiring atmosphere to be involved with talented, enthusiastic, passionate musicians. Reacting to live music is one of the best thrills of being a dancer. Timothy, what were your impressions of dancers prior to working with them, and has that impression changed now? My understanding of what it takes to be a dancer has only been reinforced through this experience. The discipline and grueling practice regime required to be in top form is not dissimilar to being a musician. To observe the focus and commitment of the dancers was no surprise. I think the rehearsal space with wall to wall mirrors and the constant visual scrutiny of their every move left more of an impression – we rely mostly on ours ear to make these judgments! How does working with dancers and choreographers compare to working with musicians and composers? Being a professional dancer for twenty years, working with other dancers and choreographers is like second nature to me. I think having musicians and composers involved in the creative process and the end result completes the artistic experience. The comparison between the two art forms is unbelievably close. It would seem that the dancers’ and choreographer’s creative work and decision making is simply an extension of what we do musically all the time. As musicians we technically divide space in time to achieve the sounds to realise the composer’s intentions. The dancers too divide space in time to realise the movements to achieve those same intentions. Rhythm forms the foundation for us both to work from. How much of a collaborative effort is this production? So far I have been mostly working with Lucas on developing and expanding movement phrases. He is completely open to suggestions and personal interpretations. There is a lot of freedom within his ideas and themes for collaboration. From the outset the production has been a close collaboration. This started with the selection of the music to perform. It then progressed to ordering the succession of musical numbers corresponding to connections made between the individual musicians and dancers. We are also combining other works of De Falla within the body of the ballet, so we needed to maintain the dramatic build up in the original musical form. Then there are logistical issues on how to position the players and dancers on stage without losing the intimacy required to perform chamber-music and still interact integrally with the dancers. Further questions then arise; Do we reflect this collaboration in what the musicians wear? Should the musicians move and dance around the stage too, should the dancers play?, etc. 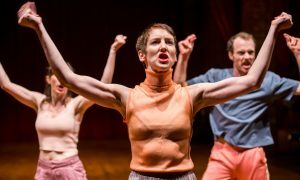 What are some of the challenges of a production like this? The challenge is finding time. Some of the challenges from the purely musical perspective are to arrange a score that has a large orchestral palette to begin with and transcribe it for only four instruments. We are striving to maintain the dramatic implications of the score’s original wealth of colour and contrast. At the same time we must adhere to the natural qualities that our instruments have both in their individual and combined voices. Integrity regulates the creative balance between what we can realistically achieve without changing the composer’s intention. What have been some highlights of the experience? Seeing how Lucas creates movement and turns it into dance, being created on and dancing with Andrew Killian. Also I’m really looking forward to next week when the musicians are being woven into the piece. Some of the highlights have been watching Lucas spontaneously create and improvise some of the moves for the dancers to try, and then observe their almost immediate assimilation of those ideas. To see how the same interpretative process that a professional musician takes is applied to ballet is inspiring. It has also been exciting and satisfying to see how the musical arrangement and interpretation has taken shape as ballet and reciprocally how the dancers’ movements have influenced our interpretation and spontaneity. What can the audience expect on August 18th? The audience can expect an energetic, uplifting collaboration between fantastic musicians, an inspired and refreshing choreographer and dancers who just love to have the opportunity to be involved and contribute in creating new art. Lovers of chamber music and ballet can come together and experience these two art forms united .The audience will have a rare experience to hear and see Manuel De Falla’s masterpiece in a very intimate and unique arrangement in a stunning venue. It is a beautiful way to witness this magical dialogue and strong bond between music and dance. Book at www.melbournerecital.com.au or call the Box Office on 03 9699 3333.